Over the last several month I’ve received a number of Lightning cables. Most of of them are serviceable, but a few really stand out. 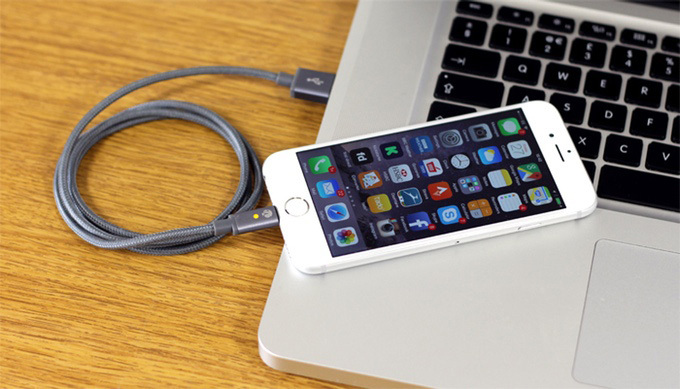 After writing my roundup of the most innovative Lightning cables it was suggested I look at the Quickdraw Cable from Woodford Design out the UK (currently sold out and in a new Kickstarter funding phase with a new reversible USB design). This was an excellent suggestion, as the cable is robust with a thick, woven cable and well-engineered connectors that complement Apple’s design vibe. I feel a little bad that one of these cables is just flopping around in my car, getting tossed from back seat to front, sat on, and pressed under foot. But only a little bad, as I have no doubt that this cable is going to take the beating and keep delivering solid charging performance. As an added feature, the package comes with a magnet so you can provide the magnetic Lightning connector with a place to “light” when it isn’t being used. The cable also includes a charging status LED. While the Woodford Design is the best engineered cable I’ve seen, it isn’t the most innovative (but Woodford Design's team continued to innovate, which is great). Two other new cables also deserved a place in the earlier roundup. The first is Snakeable ($29.99), which comes with a very unique, “armored” strain-relief design. I first encountered the cable and the Snakeable team at CES earlier in 2015, and was impressed by their problem solving ability. Cables often give way near the connectors, where they are most likely to encounter the strain of movement; the outer layer of plastic pulls apart, exposing the internal wires. The unique Snakeable cable provides a segmented strain relief that seems to work more like a lobster’s tail than a snake’s body—but I’m guessing the design team was inspired by segmented snakes that were so popular as toys in the 1950s and '60s. (Note, they still make segmented snake toys, they just come with remote controls now). Snakeable is a nice looking cable that adds a bit of dimension to the mundane charging station. Also on the innovative stage is the Tylt Flyp-Duo ($24,99), which beats Apple to the reversible USB punch. 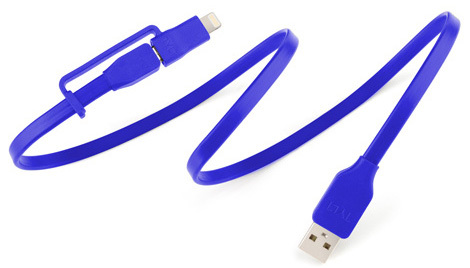 This cable its very similar to other Tylt Duo cables, where the Duo refers to the micro-USB connector that converts to a Lightning connector via tethered adapter. This cable, however, doesn’t care which way the USB portion is inserted into any USB port. We don’t need to wait for a new USB receptacle, as they have handled the engineering on the cable side. This cable works great with the new Y-Charge [Quik] ($39.99) that quick charges both iPhones and iPads up to 75% faster with it 4.8A, 48W design. The matt plastic finish on both Tylt products makes for a good complement of color and style. As I pointed out in the earlier post the cable is a neglected category for review; but if you watch innovation, Lighting has inspired some very creative thinking where the basic requirements of the USB connector and Apple’s specification for Lighting create the context for a wide variety of innovation between those two ends. When looking for a cable don’t settle for the cheapest, most ordinary cable. You spend a lot for Apple product, so get a cable that matches your aesthetic, or the way you work or play. At this point in the product lifecycle, you can probably find a cable that fits your exact niche.